Star Wars and the Disney Empire! Like many within the sub-culture of fandom, yesterday I read the news that Lucas was selling most of his assets, including Star Wars to Disney for 4 billion Dollars. I was on a roller coaster of emotions. Star Wars is something I love. It has been almost as important to me as Doctor Who over the years. Disney however has, for some reason in my mind, represented oppression. I don't know why it just has, so it is hard for me to rectify my emotions with this. Initially the news really bothered me it was one of those things where I needed to back off a bit and consume the news. I thought about them sterilizing the franchise, killing it with Disney marketing etc. . . But then I thought about it and and realized it really wasn't any different than what Lucas had done to the property himself. He has already sterilized the movies that I grew up with. changing them, and never being happy with them. Disney could actually be one of the best things to happen to the franchise in some time! There are a few things to look at though, that are going to be very important to the fan community. Disney believes in being very proprietary with things that they own. I mean they own it that is their right. There have been a lot of law suits over copyright issues with Disney properties. Shutting down fan projects etc. . . Lucas has been very fan friendly, allowing fan films, using 501st people for events etc. He understood the value of fans. I'm not sure Disney is going to do that! I think it will be a lot harder to do a lot of the things Lucas has allowed to happen under the eye of Disney and it's lawyers. Another thing that is bothersome to me is that Disney now owns a huge chunk of my childhood. Marvel, and now Star Wars. It is a surreal experience to go into a Disney store and see Marvel merchandise. To be fair that is all this is to Disney, something else to merchandise. These characters mean a lot to so many fans. Iron man and Thor are symbols just like Yoda and Luke Skywalker are symbols to so many people and to see them as a property is hard to fathom. To see these characters relegated to Disney stores is also hard. Of course, I say that and understand that Lucas has been doing this for as long as the Star Wars franchise has been around, but for some reason it feel worse to me when it is Disney doing it it. I mean, are we going to see Leia lined up with the other Disney Princesses? I truly hope not. Out of this deal does come a new movie. It has always been said that the best stuff that has come out from star wars is the stuff with the least amount of involvement from Lucas himself, so I suspect 2015 will bring a great movie. The 7th installment and probably the beginning of a new trilogy. The thing to watch is if Disney will make this an event, where they run Star Wars into the ground by constantly inundating us with movies! the other thing to watch is how they treat Extended Universe stuff. Will the extended universe stuff be thrown out, or will it be immortalized on the big screen. Time will tell! So keep an eye on the news and gear up for a couple fun years of watching this all unfold. Watching where Disney will take the property. Once again I have been busying myself with bits and bobs but there are really things happening from my time at this point. The most obvious and the easiest one to share is the Warlords of Wor Bog-nar Commercial that I have just finished with the rest of the New Monster Team. We had a GREAT time working on this. and each of us got to do the part we liked best. what we have really found though, is that we really like shooting in this small scale! I am a big fan of 80s toy commercials and I am really glad to be doing something in that tradition. We hope to do more so if any one reading this would like us to make a commercial of your product let us know we would love to do it! Other things I have been doing includes working on some art. Its one of those things I've really been trying to get back into and it is coming. I think I will be able to post a draft of the first page of my comic up soon. Yes it looks like it might be happening. Warlords of Wor: BOG-NAR Review! OK, so we've been hard at work working on some new content over at new monster and today we posted a review of BOG-NAR the first figure from the Warlords of Wor line. This line is an exciting addition to all of the retro action figures that are popping up all around us. So take a look and share it! 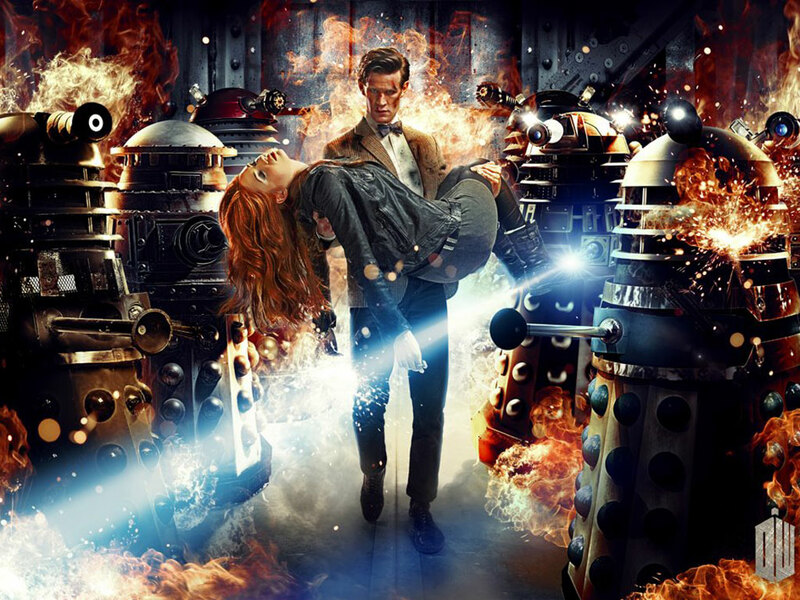 Typically I write a review for the new doctor who episodes as they come out. That is one of the reasons I started this blog. I did set out to write a couple of reviews for this season and they all sit as drafts in my dashboard. I've tried to write, I honestly have but the muse has not taken me, and now the mid season has come and gone. Now . . . I am ready to write. . . Go figure. This season has been interesting for me. Over the last two years I have been very vocal about my feelings about the new direction of the show. I was one of the loudest supported of Moffat taking over, and since he has taken over I have been pretty loud in my disapproval. This season has gotten me excited again. There is something about these stand alone episodes that really energized the series for me. With only a loose thread of the ponds and their journey ending tying them together we were able to go throughout time and space and have ridiculous adventures the way Doctor Who was truly meant to be. 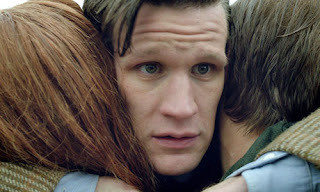 We got to see glimpses of the future (with Jenna Louise Coleman (the new companion) appearing in the first episode) and we saw memories of the past as the ponds say goodbye. I think it truly was a passing of the baton season. Reminding up what we had, but letting us know that there is more to come. Of course the thing that I loved about this season was the Space Ships. My favorite sci-fi is Space Opera, and Doctor Who is at it's best when it gets the space opera treatment. Even when not in space, we got evidence of space ships and/or great space battles wars in 4 of the 5 episodes. I hope that is a bit of foreshadowing of things to come. One of the things I have had issue with over the last few years is the Ponds. . . more specifically Amy. To me Amy has been a Marry Sue character and they haven't even bothered to write good explanations for most of those qualities or traits that she possesses. She has been a cardboard cut out of what Moffat's ideal companion is or should be. This season seemed to break that. I actually found myself stomaching her a bit more. The writing seemed to present equal amount qualities and foibles. This is something that I feel her character has lacked the last few years. Since she has had distance from the Doctor, she has matured. She is a much older Amy than we first met, just as the doctor is a much older Doctor, and I think that goes a long way for me. This season has really taken a dark turn, and has dealt with some deep issues. A character who has to come to terms with essentially being dead, A mad man who has basically killed a an entire race, forcing the doctor's hand to kill him, Human experimentation, genocide. some deep dark topics for a show with a pretty young main audience. Although, there is humor thrown in, there are some heavy themes going on here. and to be honest it has made it a fun ride to go on. Now, all that said there were week points in the season plenty of them, but they were easier to disregard this time. I feel like the Final episode was the weakest. I think it was weak mainly because it felt like an event that we were all gearing up to. Every one knew it was the end of the companions and they just wanted to know how it came. I felt like the story was lost on that. That is not to say it was bad, far from it. 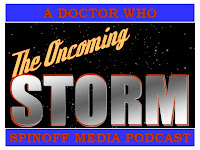 I just wasn't as intrigued by the timey whimey tricks of the Moff as I once would have been. 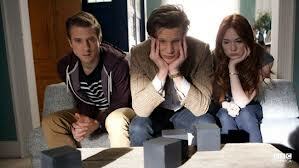 Actually that whole thing is beginning to get old, so perhaps that plot hook will leave with the ponds, and will instead bring us a passel of space adventure plots! This is of course the Pond's swansong season, and I feel one of the things that Moffat has done was make that too apparent. Every week we got that knowing glance from the Doctor, Moffat really played up that emotion card. He takes viewers for a ride, by goading them on and taunting them. I feel that if there was a weak thread in the season it was that. It was the reliance on the emotional impact of the last episode. For me that was played up so much it made the final episode more of a downer than anything else. It didn't live up to the hype Moffat had made for himself. One of the interesting things about this first part of season 7 is that the stuff we haven't seen is as important (or perhaps more important for the long run) than what we have seen. We are in a post Doctor's death world/ universe, and the Doctor has been taking advantage of the universe thinking he is dead. He is slowly making himself a ghost. A whisper. Records are being erased. Moffat, with just a few lines made the Daleks forget their oldest enemy. They are truly gearing up for the 50th anniversary. I can feel this subtle reboot taking root and finally paying off on November 23 2013. Though I wish they would ask the question differently than the obvious way: "Doctor Who?" The direction has changed and I am once again along for the ride. Moffat is slowly making me a believer in my favorite show again, and I'll be glad to come along for the ride again. Back. . . And I've been reading some comics! Whew . . . it's been a while. In the last few months I have been busying myself with things so I wouldn't feel obligated to write on this blog. . . apparently. Videos, podcasts, toys shows, trips to see friends. I have done all kinds of things. But here I am feeling the need to write. It always seems to pull me back, and at the moment I feel that I am back, at least for a while. So in celebration of being back I will tell you what I did this weekend. Having a few hours to myself is something I rarely have anymore, and when I do I find ways to waste it and don't do any of those things I want to do. I don't read the stacks of comics I have been waiting to get to, I don't make a video. I sit and stare at all of the things I want to do. This weekend I changed that! I had a few hours, and I saw that stack of comics, and decided to see how far I could get through it. I am a sucker for licensed comics based (or loosely based) on 80s toys and cartoon lines. And my stack has been growing. Th stack, made up primarily of IDW titles, consisted of DC's Masters of the Universe, All three issues of Transformers Regeneration One, Battle beasts, and a few other odd titles. 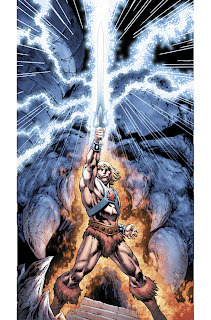 Masters Of the Universe: This comic has really stimulated the franchise. 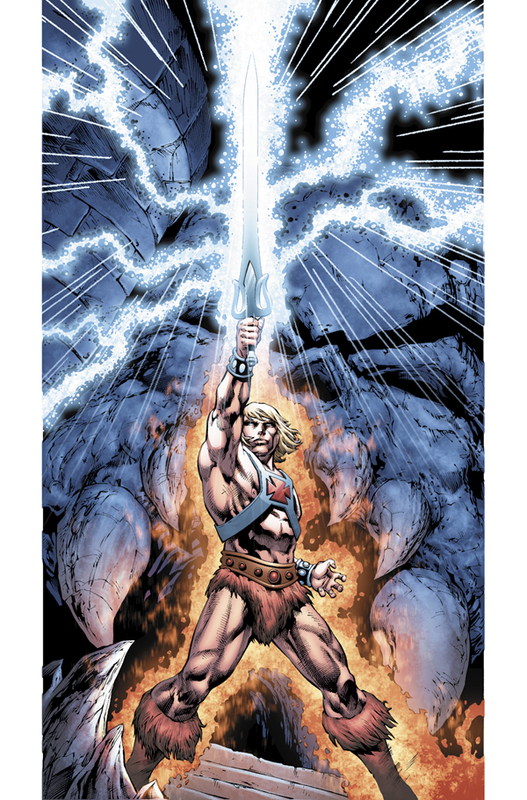 The story takes a different approach, it is set after He-man and the masters have been defeated (by amnesia) And Skeletor is ruling eternia. It shows some interesting denizens of eternia and how different clans work. The story is the same but time has progressed. We are slowly getting deep into the plot in just these two issues. Really a very good read. Transformers Regeneration One: Though I grew up with the transformers as a kid, I have only had a cursory relationship with the comics. But when I found out that regeneration one was happening I was intrigued. I picked up the 100 page spectacular that IDW put out (with the last 5 issues of the classic marvel series) and caught up. This series starts 21 years after the events of those comics. Many of the classic characters are still there. This comic has classic sensibilities with modern production values. It is action packed and all of the characters you really want to see (at least for me) are getting enough screen time. They have really brought out Megatron's craziness and now we are getting to a whole new chapter of what is about to go on on earth. 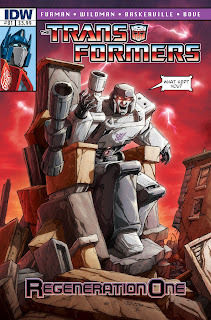 If you like Transformers then you should really pick this particular comic up, especially if you grew up with the old marvel comics! 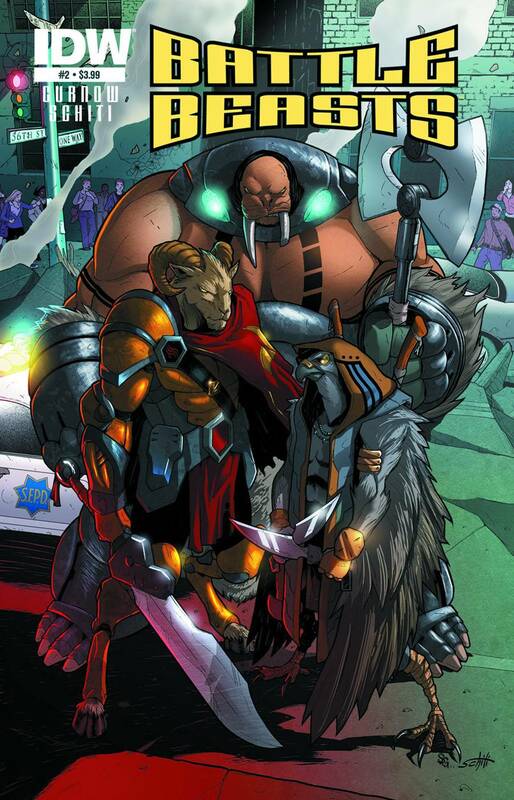 Battle Beasts: I love the Battle Beasts of the 80s. it should be said that this is really nothing more than that name for the characters. It is unrelated to the 80s toy line. That said it does have beasts and they do battle. A lot of battle! This comic is action packed. with action in most of the pages presented. The one thing that bothers me is that it suffers from the same thing that so many modern sci- fi and fantasy properties suffer from. They bring the fight to earth. what is wrong with some alien worlds? I don't know. That said the comic does present some very good characters and a lot of carnage. So I would recommend a read. Possibly one to wait for the trade paper back! So . . . that is how I spent my weekend. Have you been reading any comics of late? What should I check out. . . or what should I avoid? Hopefully I will not be away so long in the future. It's good to be back!